Automotive seating and electronics supplier Lear Corp. today reported a 28 percent gain in net income as the impact of key acquisitions in the last year took root in the company's balance sheets. Net income in the quarter grew to $181 million from $140 million last year. Total sales grew 2 percent to $4.3 billion. Lear said core operating earnings surged 27 percent to $320 million. Adjusted earnings per share rose to $2.56 per share, well above Wall Street expectations of $2.37 per share. Sales for Lear’s seating segment were up 5 percent to $3.4 billion in the quarter. When adjusted for currency translations, seating revenue grew 14 percent. Lear said the seating unit posted adjusted earnings of $243 million vs. $176 million last year. "The recent acquisitions of Guilford Performance Textiles and Eagle Ottawa Premium Leather combined with our world-class sewing and seat component capabilities provide Lear with a competitive advantage in seat design and craftsmanship," CEO Matt Simoncini said in a statement. The company's electronics segment saw a 7 percent decline to $973 million, impacted by the foreign exchange rate. Revenue grew 4 percent when adjusted for currency. The electronics unit posted a slight decrease in adjusted earnings to $136 million. Lear also acquired the intellectual property and technology from Santa Rosa, Calif.-based Autonet Mobile during the quarter. 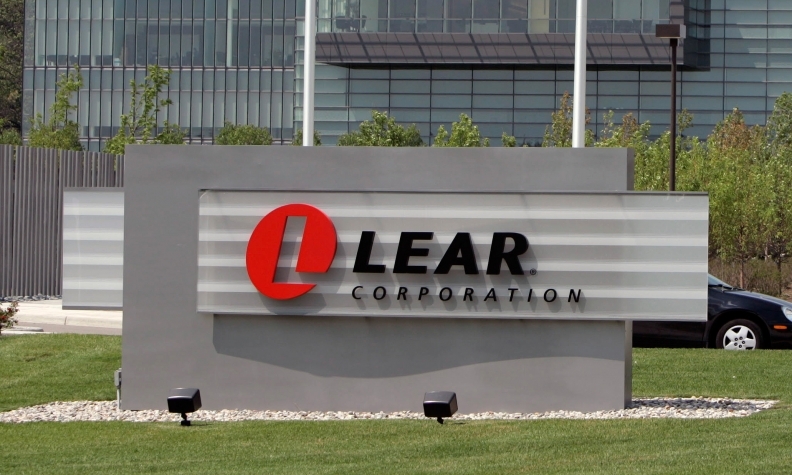 "The acquired intellectual property and technology will complement Lear's industry-leading wireless capabilities and provide growth opportunities for Lear's electrical business," the company said in a statement. Lear ranks No. 10 on the Automotive News list of the top 100 global suppliers with worldwide sales to automakers of $17.7 billion in 2014. Philip Nussel of Automotive News and Dustin Walsh of Crain's Detroit Business contributed to this report.